whybee-online has no other items for sale. 42075 LEGO Technic First Responder 2-In1 Set 513 Pieces Age 9+ New Release 2018! 42073 LEGO Technic Bash! Pull Back Car 139 Pieces Age 7+ New Release For 2018! 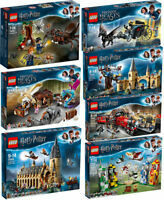 Lego CLASSIC Bricks Full Range - Select your Part Number, 12+ Sets to Choose! Immediate payment of £102.11 is required.